We provide a range of high quality services for people who have complex mental health issues and are finding it difficult to engage in their recovery journey because of the chronic and treatment resistive nature of their illness. We provide support is slow-stream, low stress, accommodation where we can work the individual at their own pace to move them along a recovery pathway. We maintain a recovery focussed approach and believe that with the right support we can enable each service user to lead a more fulfilling life. Our approach is person-centred. This means we involve both service users and, where practical, their families and support networks in the planning and delivery of their treatment, care and support. We get to know each of our service users and understand their hopes, ambitions and goals so that we can reflect these in their personalised care and support plan. 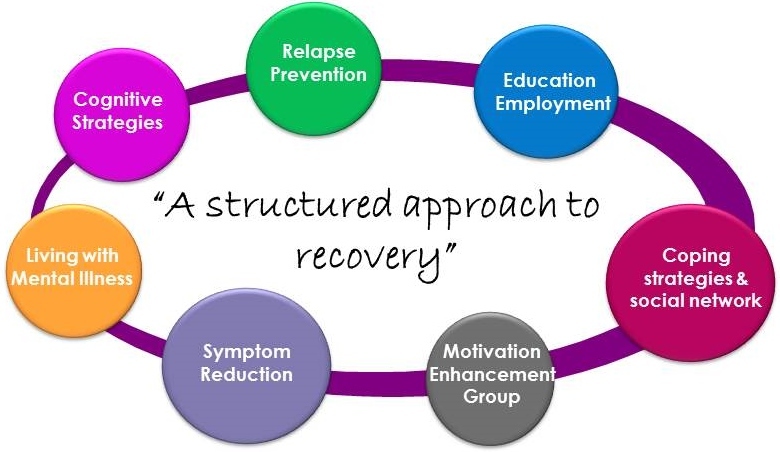 Our approach to mental health improvement is based on a number of models and therapeutic approaches, including: Active Support, CBT, Recovery, and WRAP’s, lifestyle coaching. We prefer to adopt a non-direct approach to treatment, so rather than look to ‘cure’ an illness we explore areas where we can support the person to make improvements in their lifestyle, which will indirectly improve their mental health. By using this approach we have evidenced an increase in self-esteem, self-worth and confidence. The person learns to value themselves and is more motivated to engage in their recovery journey. Download a PDF version of our Mental Health brochure.